Who hasn't started Christmas shopping yet? This girl! I may be a little behind the eight ball when it comes to Christmas shopping, but at least I have an idea of what I need to buy. In my defense, I went to buy a few toys for my kids then put them back realizing I could probably snag them cheaper on Black Friday and Cyper Monday. You would think someone who gets anxious in large crowds would stay out of the stores on the busiest shopping day of the year, but apparently my love of a good deal trumps all fears. 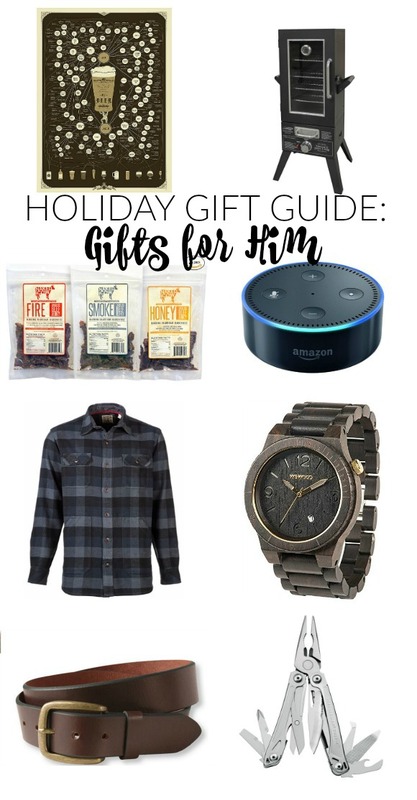 As I was writing down my list of what I need to buy I put together a round up of a few of my favorite gift ideas for all the men and women in your life. 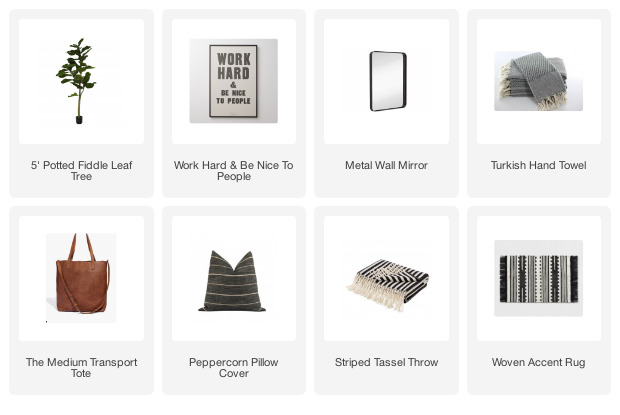 I didn't realize until I was writing this post that most of the items I gravitate towards are neutral, mainly black and white. The good thing is who doesn't like black and white? It goes with everything and can be dressed up or down. 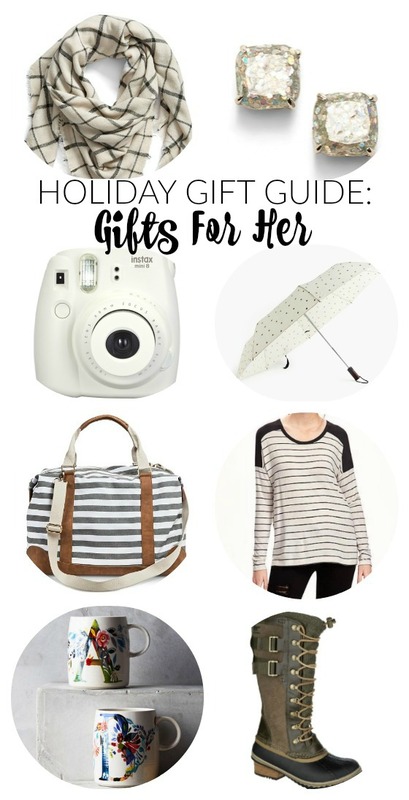 My favorite are the glitter Kate Spade earrings and hey hubby, the Instax camera is calling my name, hint hint! Why are guys so hard to shop for? It's easier if the men in your life have a hobby, but if not it can be a bit challenging. 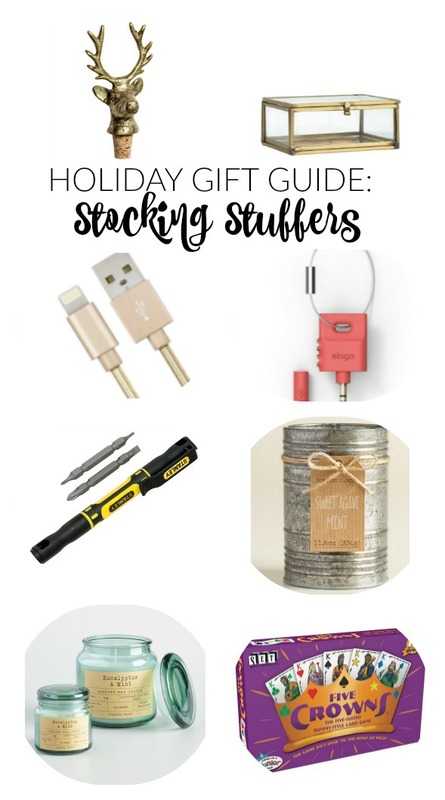 I tried to pull gifts that any guy on your list would enjoy. Whether they enjoy beer, cooking (hello, smoker!) or are a bit of a tech nut, hopefully you'll find something that will make your man happy. Do you still do stockings? My husband and I don't really do large gifts, we do stockings for each other instead. Here are a few ideas that are perfect for that adult kid in your life. Hey family, don't be surprised if a few of these gifts show up under the tree on Christmas morning. Just pretend you're surprised, mmm'kay? Did you see anything in the gift guides for the favorite men and women in your life? If you have other ideas I'd love to hear about what you're planning on buying. The more ideas the better!